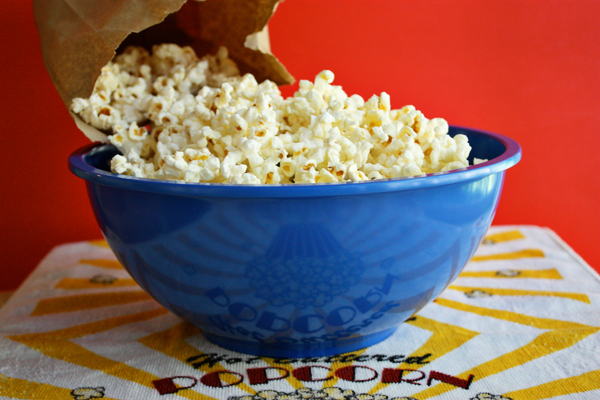 Pour popping corn into bag. Fold top of bag over and secure shut with 2-3 staples or scotch tape. Microwave on high for about 1 1/2 minutes or until popping has almost stopped. 10 Comments on "Paper Bag Popcorn"
I just love you and your videos I remember you when you had your talk show I was young but did watch it..
Do you have a video for coconut macaroons?? I find it hard to find and be able to watch your video’s on your site.. There is no video for the macaroons. We did this in my 8th grade science class and it is awesome!!! Well it has to be a clean paper bag so I buy a package of paper lunch bags and they work perfectly. 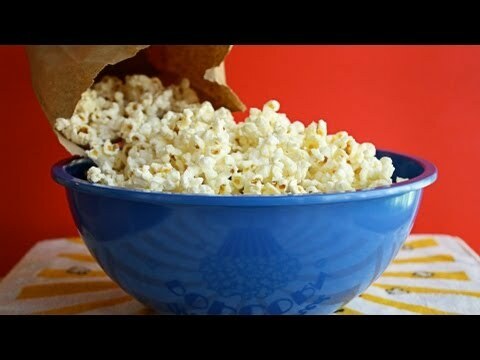 would you please share the name of the popcorn brand which is been used in this video. I’ve been doing this for years but simply roll the top of the bag shut. Great. It realy works! You, do can use staples in the microwave! Thanks Jenny! !